Argos-Shimano (formerly Skil-Shimano) returns to the Tour de France this year after a two-year absence following its abysmal debut in 2009. That said, while the guts of the team remain more or less unchanged, the Dutch team has good reason to believe it won’t walk away empty-handed. After all, Germany’s Marcel Kittel has proven over the past year that he’s truly one of the fastest sprinters in the sport. Perhaps more importantly, he has already won races at the expense of all of the men he’ll face at the Tour de France—including two victories at the recent Ster ZLM Toer ahead of Mark Cavendish. Kittel is young, confident, and fast. With Team Sky likely to take a few days to work out its chemistry, he would do well to strike early—especially since an early abandon is likely. It’s therefore no surprise that Argos comes to the Tour de France with a team built around winning field sprints. Only after Kittel abandons can we expect to see Argos riders racing for themselves. It’s “Kittel Or Bust” for Argos-Shimano. He won a stage at last year’s Vuelta and hasn’t missed a step so far this season. Can he contend at the Tour? Patrick Gretsch won the Prologue at last year’s USA Pro Cycling Challenge in Colorado and could be a dark horse contender for a high finish Saturday in Liege—and on the Tour’s longer time trials in the second and third weeks. Being your team’s “chosen one” has to come with a bit of pressure. Like a star quarterback without a Super Bowl ring, Kittel needs a Tour de France stage win to avoid hearing “Yes he’s fast, but—”. Tom Veelers is just the type of rider a team like Argos-Shimano needs in the Tour de France. 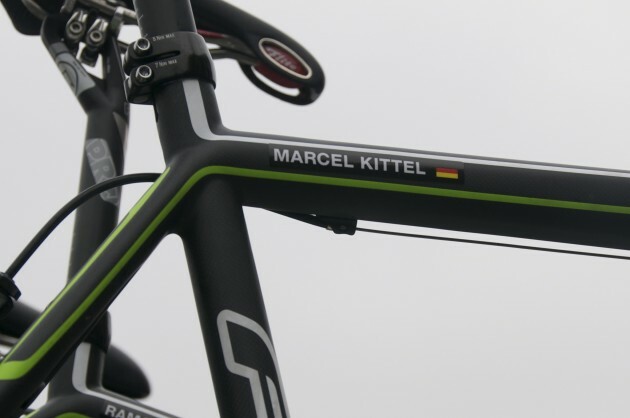 Strong, powerful, and experienced, the Dutchman will prove invaluable to Kittel in his first Tour de France. This entry was posted in Races, Teams and tagged Argos-Shimano, kittel. Bookmark the permalink. I just want to say Thank You for making a return appearance for the TDF team previews!